Located 220 km northwest of El Calafate, El Chaltén is considered to be the trekking capital of Argentina. This charming village is surrounded by lakes, lagoons, mountains and glaciers allowing for a wide spectrum of outdoor activities. Unguided hikes are common as the trails are free, well marked and easily accessible. There finally is cell phone reception, with Movistar & Personal, and there is one ATM in town. The two most predominant peaks are Fitz Roy (3,405 m) and Cerro Torre (3,128 m). They represent a challenge for both recreational trekkers and for expert mountain climbers. 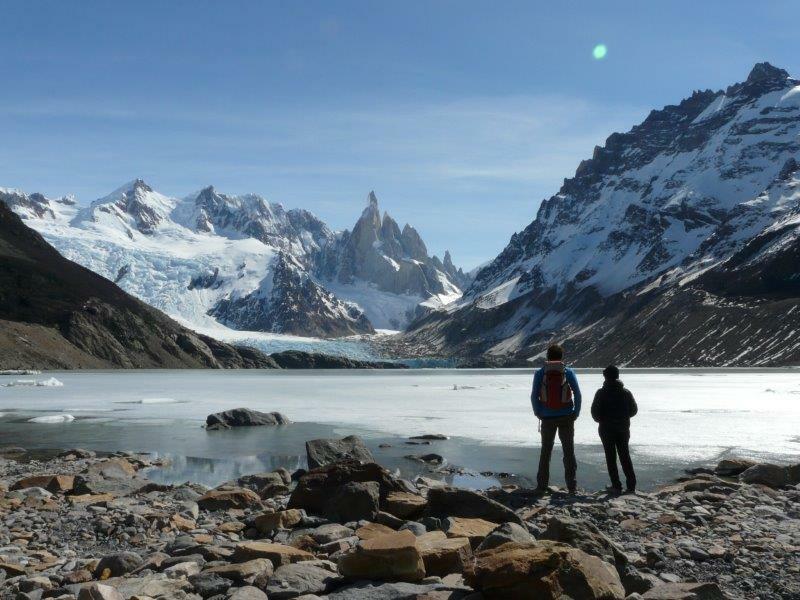 An excellent glacier trek is also available on Cerro Torre. Fantastic view trekking in El Chaltén. For those needing a break from the challenging hikes, another great way to experience the surrounding beauty is by horseback. 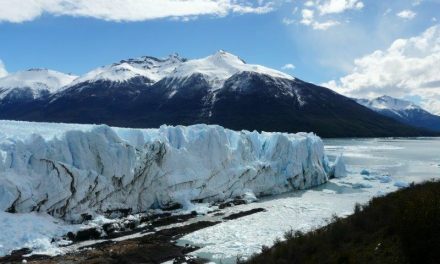 Otherwise, you can take a boat excursion to the shores of Viedma glacier, where a short hiking path allows you to get up-close and personal with the glacier. 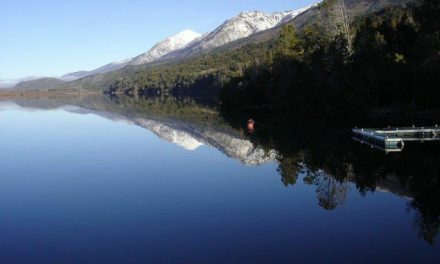 About 40 km north of El Chaltén you will encounter Laguna del Desierto, a tranquil lake surrounded by forests, various trekking trails and a hanging glacier. 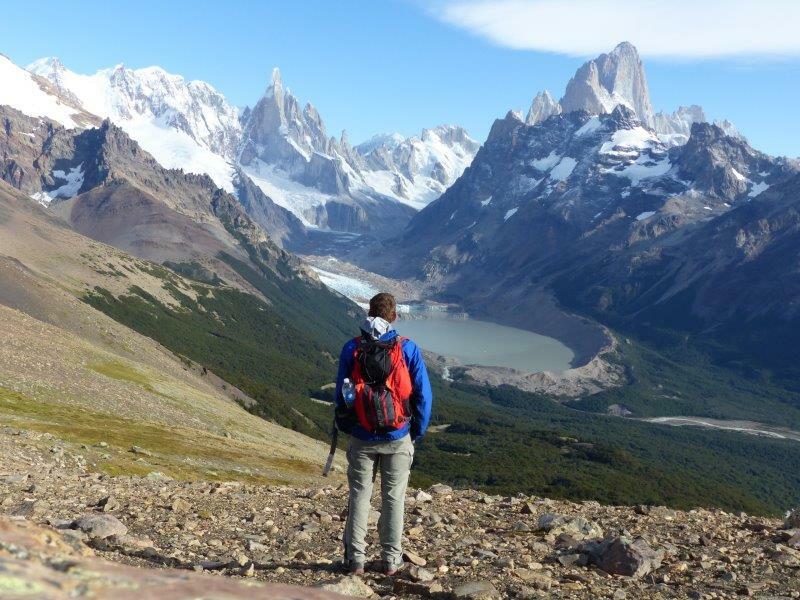 Culture wise you should do the daily 3 o’clock tour to El Chaltén’s pioneer Estancia Cerro Fitz Roy. After 4 hours trekking we got to see this amazing view of Laguna Torre! 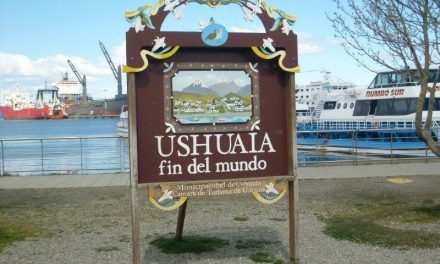 Chile crossing: ask about the 130 km trip to Villa O’Higgins at the end of the Carretera Austral in Chile via boat and bus, bicycle, horseback or on foot. 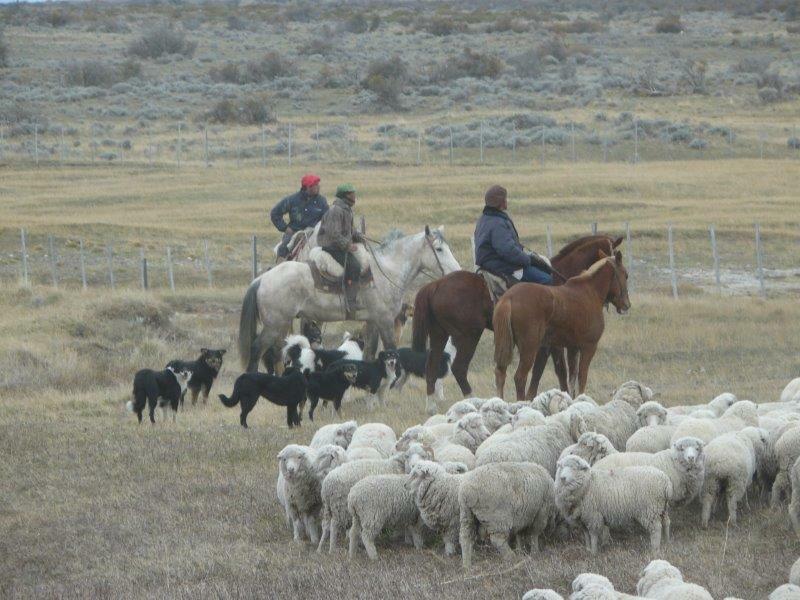 Gauchos moving a herd of sheep. 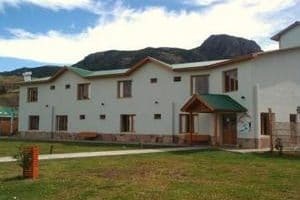 This hostel is sparkling clean and offers good comfort while you are staying in t he stunning surroundings of El Chaltén. With very comfy dorm rooms and private rooms available, you can take your pick of your sleeping arrangements but rest assured that during your waking hours you can enjoy mountain views, chill out in the brand new play room, relax in the large patios with BBQ areas for the guests, or cook something inside in their fully equipped guest kitchen. Its central location also keeps you near to all the starting points for hikes in the area and you can use their luggage storage if you need somewhere for your bag to rest while you explore. The young staff speaks English and are always at hand to help. For the price of a dorm bed you’ll spend the night in a funky train wagon converted into comfy cabañas for 2 or 3 guests with a kitchen and shower. 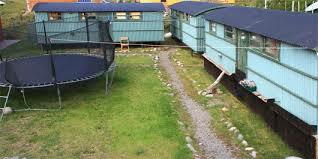 There are also 3 cabins for 5 people, fit with all necessities. Located in the town’s center and towels included. 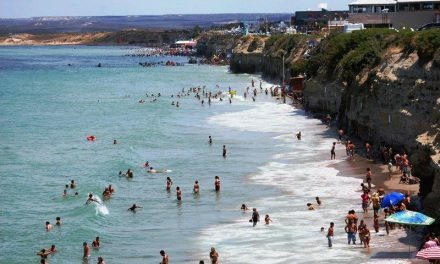 Open August to June. 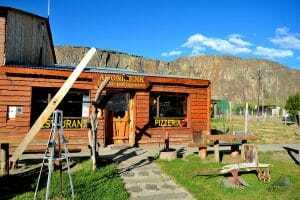 Locals fill up their bellies here for lunch and dinner, the trustworthy proof that this is El Chaltén’s place to eat heartily for a fair price. Argentinian traditional dishes and stews (Get South is a major fan of the lentils or lentejas), a range of pastas and pizza (also for take away), milanesas, salads, etc. are served in this snug little restaurant, nicely decorated with retro publicity, old newspapers and funny objects. Located in the main street coming from the bus terminal.